In order to generate effective keywords to use within your Search Engine Optimization (SEO) campaign, you should consider several different factors. One of those is to analyze your PPC campaigns in full. This includes researching and generating keywords, organization tactics, competitive analysis and continued regular optimization of your brand. Brand keywords – As straightforward as this sounds, it is the most important one to include. Brand keywords are words that will have an inclusion of your brand name. These keywords will help to generate higher Quality Scores as well as generate higher SEO rankings. Commercial keywords – These keywords are those in which are considered ones that are targeted to prospect buyers who are most likely to purchase your product or services. Broader, low-intent keywords – These keywords are designed to help broaden your brand awareness on the internet. These can help to increase your demographic target by including less-specific inclusions. Long-tail keywords – These are the longer, and more specified phrases within your brand description. They come with a lower price tag and garner less competition. These are effective to use while creating area specific campaigns, such as a specific geographic region. Competitive keywords – These keywords will allow brands to include some of their competitors' keywords and therefore reaching some of your competitors' followers. Grouping and Managing Your PPC Keywords - After the collection of all your keywords are completed, it's important to organize them by means of placing them into groups for the most effective organization. Create High-Quality Keyword Groups via AdWords – These should start out as larger more broad words that then branch into smaller keywords. For example, a Bakery trying to sell cakes, they would want to use the word, “cake” for high quality as opposed to a broader keyword, “birthday cake”. Create Smaller, more Specific Sub Groups - These are groups that continue to add more specific keywords within your brand as to home in on your target demographic. Keeping with the Bakery example, for this group you would want to add specifications on your cakes. Placing “Vanilla Birthday Cake” for instance would be an example. Optimize Your AdWords Keyword Groups – The optimization of your AdWords Keyword groups is essentially adding the special touches to your campaign. This includes adding any plurals of derivations within your keywords. For example, for “Cake” you would add the plural, “Cakes”, etc. Iterate and Reiterate – It is important for each business to continue to research and add to their keyword groups. Anytime a rebrand occurs there is usually new words associated within the change such as a brand name or web copy. These types of changes need to be thought of regarding your PPC strategies. There are several measures one can take in order to increase your quality score. 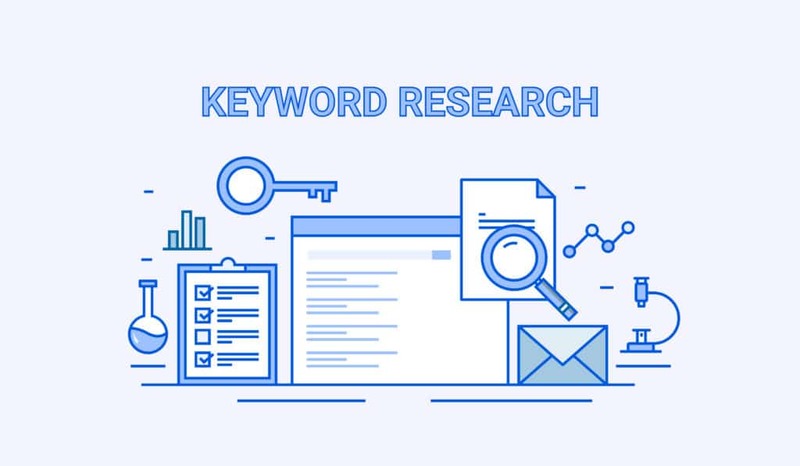 Keyword Research – Any research conducted, be it on Google AdWords or other programs in order to help the process of finding effective keywords. Keyword Organization – After utilizing software programs as well as conducting competitive research, grouping the keywords for the better organization will help to reach optimization goals. Refining Ad Text – While generating effective ads, be sure to utilize keywords that help to increase your quality score. Optimizing Landing Pages – Creating attention-grabbing, creative and engaging landing pages that include effective brand keywords will help to increase your quality score. Adding Negative Keywords – Make sure to conduct research on the keywords that have a negative impact on your brand as well. This will then help you to steer you in the right direction in terms of which keywords work the best and generate a higher quality score. If you’re running into a roadblock in terms of finding new keywords to use with social media ads, landing pages or web copy, there are solutions to help you along your keyword expansion tactics. Software programs such as Wordstream for instance will help brands to find new keywords that earn a high conversion rate. Instead of trying to generate the keywords on your own and probably rather limited to your results; software programs will help generate thousands of combinations that help to increase your conversion rating. In summary, PPC best practices can help businesses with their SEO strategies. When generating effective keywords, completing competitive analysis strategies, and working towards the successful organization of those keywords within all your ad copy for social media, website copy, blog content, etc., this will help you generate a more robust SEO campaign to help grow your brand awareness and have overall success with your company.